With few silhouette artists in the UK, Sarah truly is a cut above the rest and will wow everyone with this unique art form. 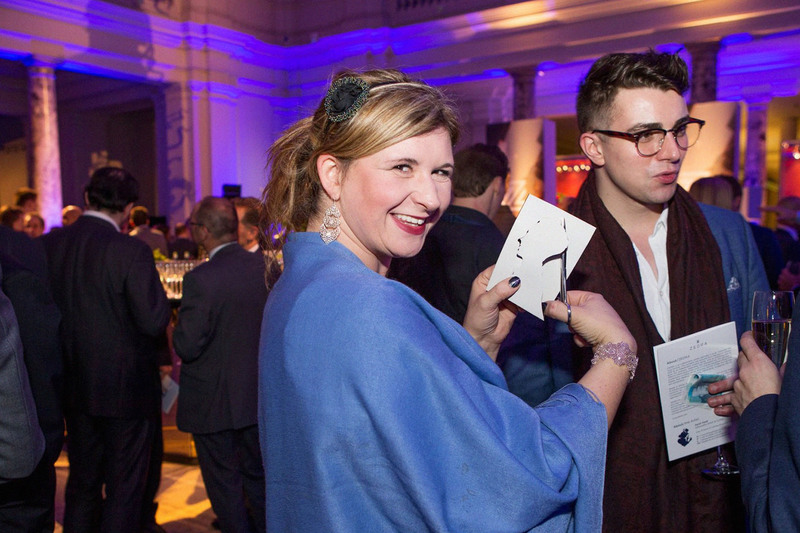 Sarah has entertained at high profile events and clients such as Princess Beatrice’s 18th Birthday, Prince Charles Christmas party, Dawn French & Lenny Henry’s Birthday, Shopper Stop, Oracle Software and Barclays Bank to name but a few. Each silhouette is beautifully executed using nothing more than specialised scissors and black paper. 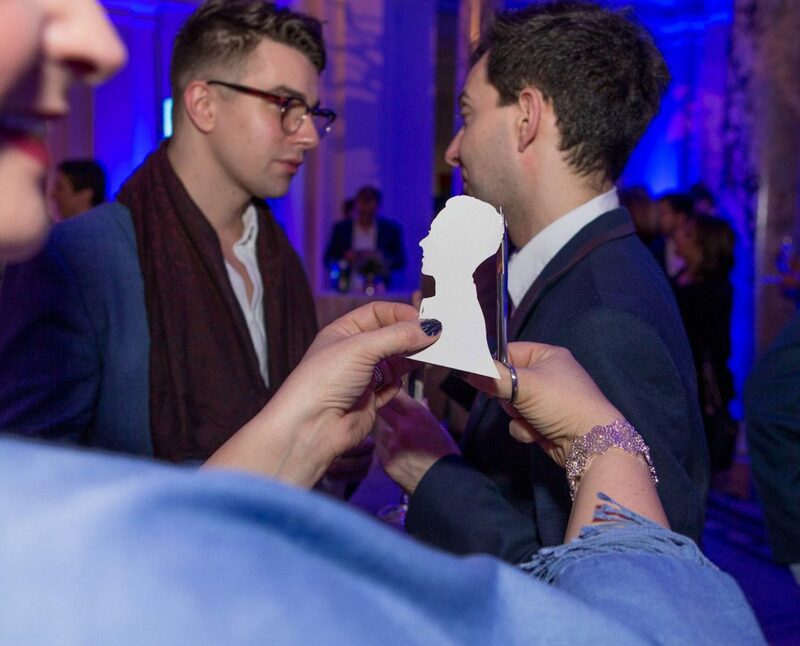 Sarah produces flattering silhouette profiles in only a matter of minutes as part of a mix & mingle entertainment which gets the party in full swing. No mater what the theme, Sarah can tailor her art to suit your event. "Thank you to Sarah for her time and expertise on the evening and hopefully I shall see her at one of our future events!" "Everyone was so impressed, you were a big hit!" "It was a pleasure to work with her and her talent was very much appreciated by the Roland Group."